The following essay by Susan Daruvala is from A New Literary History of Modern China, edited by David Der-wei Wang, Belknap Press/Harvard University Press, 2017. We are grateful to the author, David Wang and to Belknap Press for permission to reprint this material. This essay is offered here in memory of Zhou Fengyi (周豐一, 1912-1997), Zhou Zuoren’s eldest son whom I knew in Beijing, and Fang Jisheng (方紀生, 1908-1983), who shared his memories of Zhou Zuoren when I lived in Kyoto and gave me a facsimile reproduction of Camel Thorns 駱駝草, the long-forgotten wartime journal of belles-lettres that he edited. 15 July 1946: Zhou Zuoren makes his defense against charges of collaboration with the enemy in the Capital High Court in Nanjing. On July 15, 1946, Zhou Zuoren (周作人, 1885-1967) stood up in the Capital High Court in Nanjing to make his defense against charges of collaboration with the enemy. Zhou had been a leading intellectual ﬁgure since the May Fourth Movement and the foremost practitioner of the literary essay, and his failure to join the inland relocation of Peking University after the fall of Beiping (Beijing) in July 1937 had attracted widespread condemnation. For those who wanted him in unoccupied China, there had been much at stake: Zhou was the younger brother of Lu Xun (魯迅, 1881-1936), symbol of the progressive left; moreover, his high standing among Japanese intellectuals meant his departure would deliver a strong message. But Zhou remained in Beijing. The charges against him were that, in August 1939, he had accepted a professorship and become head of the Literature Department at Peking University before going on, in January 1941, to become education minister in the North China government installed by the Japanese. He was accused of having ‘enslaved education to serve the Japanese’ by serving in a university that had become a puppet organization. The trial had started a month earlier, and detailed evidence was presented to the effect that Zhou had used his positions to beneﬁt Chinese property and citizens. He had protected and even increased library holdings, he had kept the curricula as close to preoccupation ones as possible, he had maintained the teaching of English, he had thwarted attempts to propagandize youth organizations, and he had shielded teachers working for the underground. He used his positions throughout to exercise passive resistance against the enemy. Zhou’s belief in the necessity of education and his valorization of the individual and the use of individual judgment and action are hallmarks of his earliest thinking. His intellectual life took off in 1906, when, aged twenty one, he won a scholarship to study in Japan. Zhou then joined Lu Xun in Tokyo, where he took part in his brother’s literary projects, learned English and Greek, and developed a lifelong interest in anthropology. He returned to China with his Japanese wife in 1911. In 1917, encouraged by Lu Xun, he joined the faculty at Peking University. Under the innovative, enlightened chancellorship of Cai Yuanpei (蔡元培, 1868-1940), Peking University became the center of intellectual ferment over China’s future that culminated in the May Fourth New Literature and Culture Movement. Zhou’s article ‘A Literature of Mankind’ 人的文學 pushed him to the intellectual forefront. In it, Zhou argues that humanity is one and that each individual is a part of it. This basic relationship is something that has always existed, for ‘as soon as men were born in the world, humaneness was born’, although Europe had only been aware of it since the Renaissance, and in China ‘the problem of man has never been solved, let alone of women and children.’ Literature should foster this ideal by advocating the new scientiﬁc view of man as an evolved creature, whose body and spirit should be seen in harmony, not conﬂict. The touchstone for literature was whether it promoted an individualistic humanism or an inhuman view of life. The scientiﬁc view of man, as embraced by Zhou, included Havelock Ellis’s (1859-1939) ideas of human sexuality as a natural component of human dignity and acceptance of women’s sexual rights, hence women’s equality. In another article on how to solve ‘the woman question’, he stresses the importance of a basic education in general knowledge for men and women of all backgrounds. Zhou’s views on the relationship between the individual and a wider humanity brought him very close to the Japanese writer Mushanokōji Saneatsu (武者小路実篤, 1885-1976), the leader of the humanist, antiwar Shirakaba school 白樺派, and Zhou visited the utopian New Village 新しき村 community set up by Mushanokōji in May 1919. Zhou’s articles about this experience inspired the young Mao Zedong (1893-1976), then working as a library assistant at Peking University, to call on Zhou to discuss ideas, but Hu Shi (胡適, 1891-1962) and Lu Xun disapproved of what seemed to them an impractical idealism. Zhou wrestled with the problem of how an individual should ﬁnd his or her own direction, ultimately deciding that there is not just one road to follow in the realm of thought. In 1922 he wrote ‘In My Own Garden’ 自己的園地, calling for society to allow people to respect their own individuality, as by doing so, they would repay their debt to society. Growing ﬂowers, which had no practical purpose, should be valued as much as growing fruit and vegetables. To refuse this principle and force people to conform to social expectations would be ‘as unreasonable as enforcing loyalty to a ruler in the name of Confucian prescribed relationships’, he said, referring to the hierarchical pairings (ruler-subject, father-son, husband-wife, elder brother-younger brother, and friend-friend) that had been codiﬁed during the Han dynasty to structure society. That same year, his conviction that human integrity was profoundly threatened by any attempt to impose a particular viewpoint in the name of whatever good led him to oppose the newly formed Antireligion Federation. Freedom of belief, within the limits of the law, was written into the constitution, and he did not want to see intellectuals interfering with it, for fear that freedom of thought or speech might be banned in the future. He announced his commitment to the form of the essay, a form that shared something of ﬁction and poetry, and in which, most importantly, a writer could strive to express ideas with genuine simplicity and clarity. In his subsequent writings, Zhou developed a poetics of locality and material culture: the writer should be unafraid to write about anything he or she liked, conﬁdent that one’s perceptions, inevitably informed by place and environment, could manifest the intrinsic value of human life. As a writer conveyed the particular values, customs, and artifacts of a setting, he or she would also be conveying part of their individuality. Zhou also promoted the idea that a writer should strive to express his or her critical judgment, based on genuine efforts to arrive at intellectual and moral understanding. To do so, he drew on the traditional aesthetic categories of ‘flavor’ 趣味 and ‘clarity of understanding’ 本色 that had been immensely important in sixteenth- and seventeenth-century philosophical and aesthetic discussions. Zhou identified in particular with the broad-minded Confucianism of the iconoclast Li Zhi (李贄, 1527-1602). In 1932, lecturing on the origins of the New Literature Movement, Zhou argued that self-expression and a modern type of individualism had emerged in the late Ming, but had then been repressed during the Qing dynasty, leading to the May Fourth reaction against intolerant neo-Confucian orthodoxy. Zhou believed that New Literature had been transformed by modern, Western scientiﬁc views of man, but that the fundamental tenor of the modern essay remained Confucian and Daoist, and that this was to be welcomed, as these philosophies, in their original form, focus on the material world of human feelings and the natural order of things. When the Japanese set up the North China government, their local ideological collaborator, Miao Bin (繆斌, 1899-1946), launched a massive propaganda campaign to criticize the Nationalists (Kuomintang). Now the time had come to wash the ‘Western rubbish’ out of China, and in this endeavor Japan would lead and guide China, which had forgotten its Confucian heritage, to an East Asian cultural renaissance. One of Zhou’s most important actions during the war was to write a series of essays that forcefully rejected this line of thinking. The core of Confucian doctrine is epitomized in the Analects 論語 as the recognition of the innate positive impulses of human nature, which, articulated as the principles of devotion to duty 忠 and empathy 恕, result in benevolence 仁. 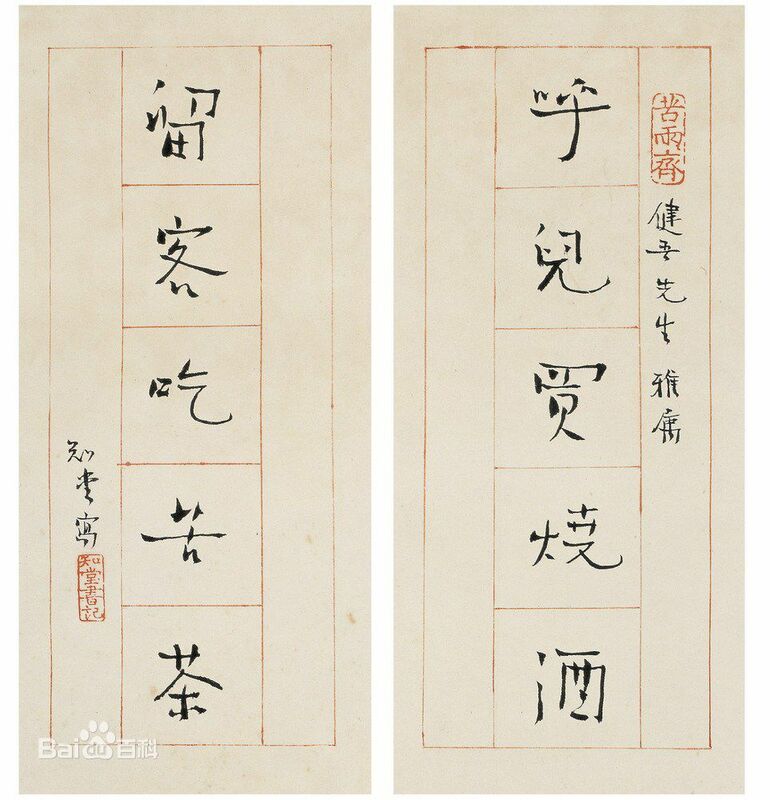 These principles are exempliﬁed by the altruism and good government of the legendary kings Yu and Ji, who understood that benevolence and survival were linked. This commonsense, practical approach to life was understood by every Chinese, from the sages to the lowliest illiterate, but anyone who tried to develop the principles into a fanatical belief system would be rewarded by chaos. Zhou’s articles were the most outspoken rebuttal of Japanese propaganda within the occupied areas, and in August 1943 he was denounced at a literary conference in Japan as a reactionary old writer, an obstacle to the Greater East Asia project 大東亞共榮圈 who ought to be swept away. Zhou was initially sentenced to fourteen years’ imprisonment for serving in a puppet organization, later reduced to ten years on appeal. The court acknowledged that he had done many positive things and his wartime writings, particularly ‘The Problem of China’s Thought’ 中國的思想問題, were laudable, but maintained nonetheless that it confused people to see him working for the collaborationist government, so he was still guilty as charged. In January 1949, Communist troops took Nanjing, and Zhou and other inmates were released from prison. He later moved back to his home in Bejiing and spent his remaining years translating Greek classics and writing about Lu Xun, before dying in captivity during the Cultural Revolution in May 1967. To the general reader, however, like many other writers active before 1949, he may as well have been dead. It was only in the post-Mao period that it became possible to begin to reconsider Zhou and his work. Yet, although his literary achievements are recognized, the issue of collaboration still confounds assessments of him. The majority of scholars see his failure to leave occupied China and participation in the collaborationist government as indicative of selﬁshness and weakness of character. 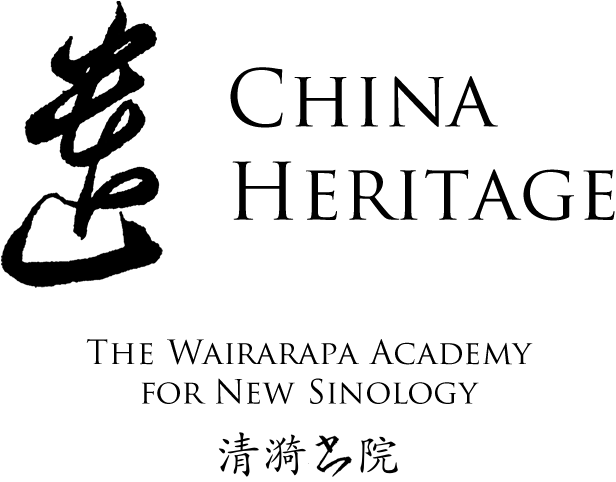 There is, as of yet, no attempt to ‘suspend judgment over who is guilty for having worked with the Japanese until after we have seen them at work’, as Timothy Brook requests in his study of wartime China, nor an attempt to understand the complexities of a treacherous, changing environment. (Zhou’s defense lawyer noted the atmosphere of fear after the war that led ‘avoiders of misfortune and beaters of dogs in water’ to bray that Zhou was a traitor, while others stayed silent.) In 1987, documents published in the journal Historical Materials on New Literature 新文學史料 revealed that underground resistance agents had asked him to take the education minister post, as otherwise the odious Miao Bin would get the job. The Communist Party agent involved had denied directing the move, but this information cast a new light on Zhou’s activities. Also published was a letter Zhou wrote to Zhou Enlai in July 1949, as the Chinese Civil War ushered in the epic changes of the new era. He had been immensely heartened, Zhou said, to hear of how the Communist government was handling women’s issues and the question of peasant livelihood, as well as reports about the high degree of discipline among Communist troops; now, perhaps some of the hopes for change that had been entertained since the 1911 revolution would be realized. He had always opposed the Confucian prescribed relationships and felt that the ruler-subject relationship in China was modeled on the man-woman relationship, making it particularly pernicious. While citizens had a moral obligation to the nation and people, to see this relationship only in terms of the chaste womanhood of Confucian propriety was outmoded. In his case, he accepted the education minister post in order to mitigate, as far as he could, Japanese interference and oppression. He felt that this was the right thing to do, although ﬂeeing to unoccupied China and teaching there for a few years would have been much easier. ‘If people say I’ve offended Confucian propriety I can accept that, but if they say I’ve offended the people of the nation, I don’t believe it to be true,’ he wrote. Of course, the complexities concerning the issue of collaboration have never been acknowledged by either the Communists or Nationalists, both Leninist parties. Since the turn of this century, memories of the Anti-Japanese War (as the Chinese sometimes call the second Sino-Japanese War) have been remobilized and shaped anew by the complex demands of present-day domestic and international politics. It may be some time before the issue of collaboration can be reexamined in China. When it is, Zhou Zuoren’s example of critical independence and his courageous resistance, even as it won him the ritual condemnation of his fellow countrymen, may well prove illuminating.